Charlotte wanted to take Mercer with her, but the Regent said no. He claimed that Mercer’s father would not allow it. Lord Keith, he said, did not want his daughter to spend too much time in isolation with Charlotte, where there would be no chance of her meeting a suitable husband. Charlotte wanted to go to fashionable Brighton, but the Regent said no to that as well. He wanted Brighton to himself. 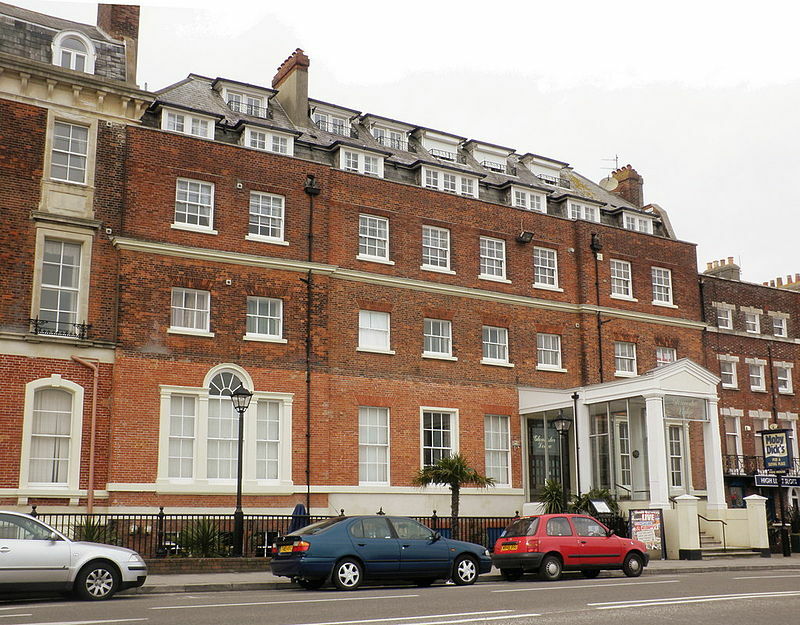 Eventually he asked the Queen if they could borrow Gloucester Lodge, a house that she and the King owned far away in Dorset, in no longer quite so fashionable Weymouth. The Queen took her time and then said yes, reluctantly. And so, at last, with September approaching, Weymouth was chosen as the setting for Charlotte’s seaside holiday. At Windsor, and also in London, the Barracks provided, if only at a distance, far more attractive society. 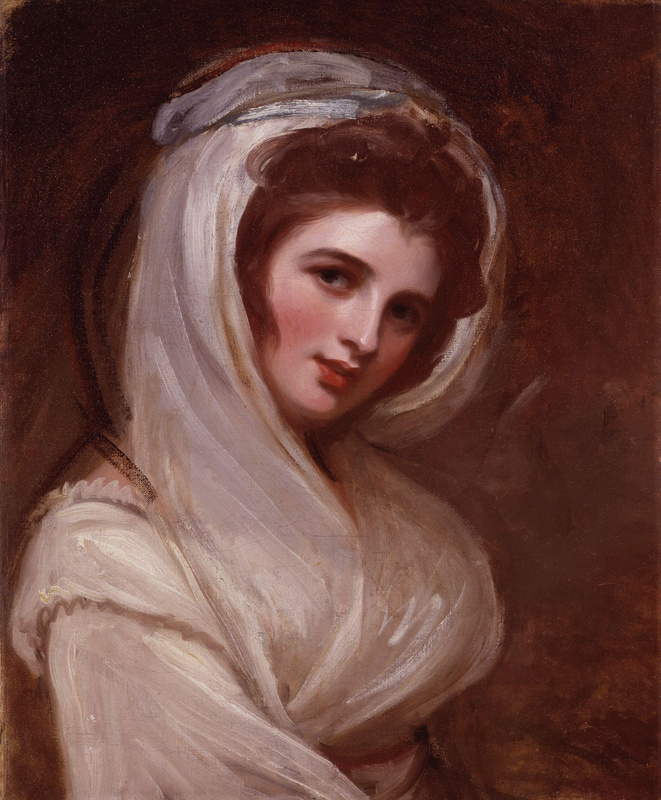 And in October 1811, Captain George FitzClarence, the eldest son of the Duke of Clarence by the actress Mrs. Jordan, arrived in London from Portugal, as dashing a young officer as a girl could wish to see. Unfortunately, he was about to join the Prince’s Regiment at Brighton, and after some rides together at Windsor, which scandalized her aunts, Charlotte was obliged to say goodbye to her handsome cousin. Tall, dark and handsome Captain George FitzClarence was Charlotte’s illegitimate cousin. 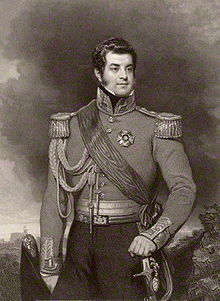 His father was her uncle William, Duke of Clarence – the future King William IV. His mother was Mrs Jordan, the most popular and admired actress on the London stage. Two years older than Charlotte, he was an officer in her father’s regiment, the 10th, which was now designated hussars and dressed even more extravagantly than before. But George’s commission was no sinecure. He had seen action and had already demonstrated the qualities that would one day earn him the earldom of Munster and the exalted rank of Major-General. At the age of only fifteen he had joined the little British army in Portugal. 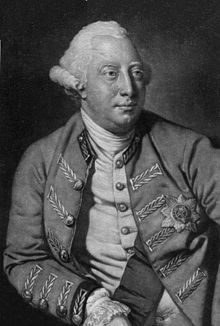 Since then, commanded by Arthur Wellesley, who had been rewarded for his success with the title of Viscount Wellington, that army had chased the French back into Spain and was now advancing after them; George had served with it all the way. Only five months before his regiment returned to England, he had been captured by the French while lying wounded on the battlefield of Fuentes de Onoro, and had escaped a few days later when his wounds were only half healed. George was on leave, and he was so taken with his royal cousin that he went out as often as he could to ride beside her carriage when she took the air in the parks of London or Windsor. In Windsor in particular, Lady de Clifford had always dreaded these daily excursions. The Princess often took the reins herself, and would frequently leave the track and drive hard at every bump in the ground, rejoicing in Lady de Clifford’s discomfort as she bounced around in terror. But now there was a different cause to dread, even though it made Charlotte’s conduct more sedate. In an age that judged so much by appearances, it was unseemly for a young lady to be chatting to the same officer beside her carriage day after day, just as it was unseemly for her to be seen sitting alone on a sofa with the same gentleman for any length of time. Lady de Clifford felt that it was her duty to report the matter to the Prince Regent, although she assured him, justifiably, that the relationship was entirely innocent. It should have been a relief to her therefore when, after only six weeks, George FitzClarence rejoined his regiment in Brighton. But by then she was obliged to report that there was another illegitimate cousin riding devotedly beside the carriage in his place.